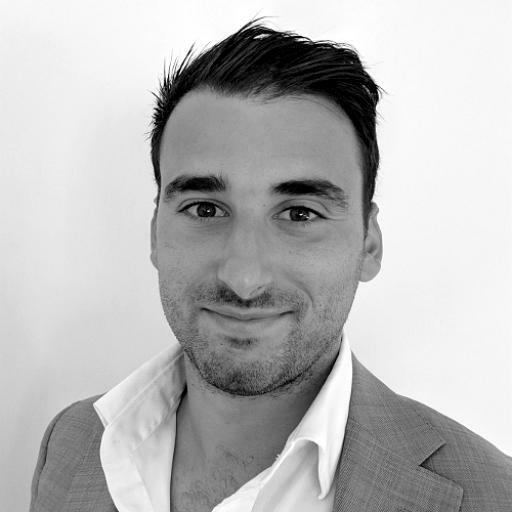 Matthew Galea is a freelance journalist covering Australian football and the English Premier League. He got his start covering state football for the Victorian Goal! Fanzine and went on to work in regional Victoria with the Shepparton News before covering international sports for Omnisport, a global digital sports news wire. Since moving to the other side of the media fence in a marketing and communications capacity, Matthew continues to scratch his journalistic itch with a number of freelance roles, joining the Roar team in 2018. 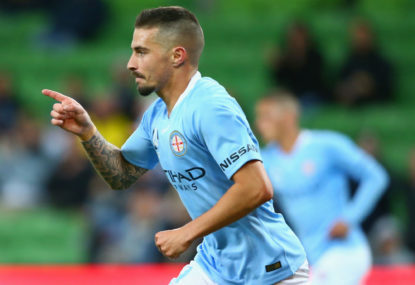 Thanks to the loss of the Melbourne Heart to the City Football Group, he remains an A-League neutral, with a deep-held passion for Manchester United. To date, some of his career highlights include being at Old Trafford to see Wayne Rooney's bicycle kick against Manchester City, interviewing Harry Kewell, discussing the late, great Johan Cryuff with his former team-mate Jesper Olsen and chatting Socceroos and Australian football with Jason Culina. 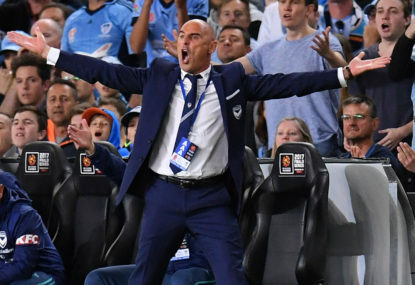 While a national second-division seems an increasing certainty, the question of when and how to implement A-League promotion and relegation remains frustratingly unanswered. 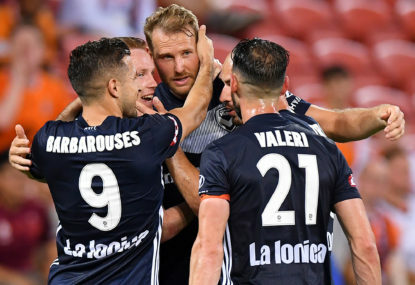 Ola Toivonen has been one of the best players in the A-League this season, but his success only serves to remind Australian football of one of its biggest shortcomings. I guess the point I was making was merely the incredible disparity in coverage given to the two events and how they speak to where the respective clubs are at. 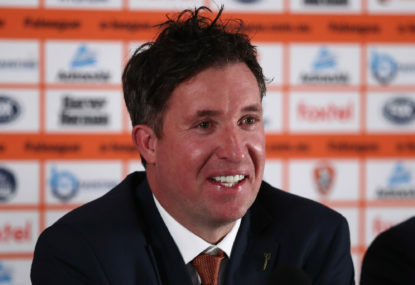 Roar have well-and-truly gone out on a limb with the signing of Fowler. No doubt he was a great player (though I’m not sure he’s quite worthy of the label ‘God’ given to him by Liverpool fans – perhaps that’s just me), no doubt many great players become good managers, but he’s so…unproven at every level. It’s just a big punt on a big name. Everyone will be watching him, sure, but there’s a bigger issue with the fact that we’re so obsessed with people like him. 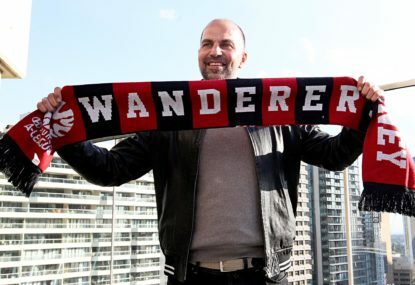 If I was a Roar fan, I’d be very underwhelmed with the appointment, but perhaps he will prove me wrong. 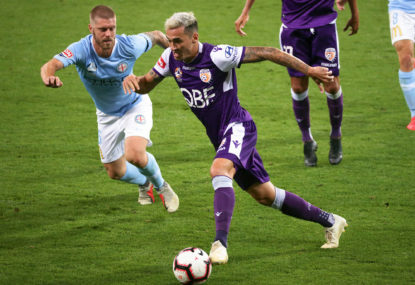 Perth, on the other hand, is working from a much better position and have managed to secure one of their best players for a further two season – in addition to the other transfer activity in recent weeks. I highly doubt Castro will be a ‘footnote’ in any season if he can maintain his lofty on-field standards. How many of those clubs no longer exist? They almost all still exist in some shape or form. Relegation isn’t a death sentence. Australian football needs all the support it can get, but its biggest issue is getting rusted on football fans to support the local game. The amount of people playing, watching and engaging with the sport is incredible, the majority of those people just can’t connect with the A-League. Anything that appeals to that market has to be a positive, surely? Being relegated doesn’t mean the team disappears, it means the team plays in another division and has to come back stronger next season. 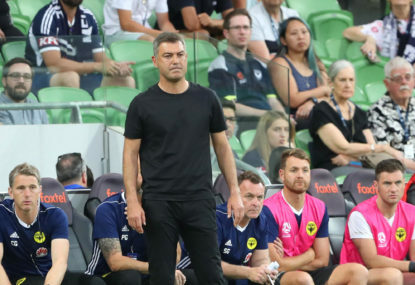 Sure, if an A-League club is relegated, some serious adjustments will need to be made and they will need to live within their means outside of the bubble that is the A-League, but there’s no reason they can’t survive. I don’t doubt the AL clubs have no interest in relegation any time soon, but for all the millions they have collectively spent, how much has the current method of expansion helped their investment? Not much, I suspect. The clubs themselves can see the money pool will shrink unless something drastic changes and I doubt the new teams coming in over the next two seasons are going to have a massive impact on the next broadcast deal. The creation of a second division and promotion from it into the A-League is definitely in their long-term interests as it will create more self-sufficient clubs not reliant solely on TV broadcasting deal handouts as they are. I question how much the standard will improve if the competition is a semi-professional one as is being suggested and I wonder how long a second division can be sustained without any hope of promotion to the A-League. Player won’t be full-time professionals, their limited training schedules will be further impacted by travel. Why would a club make big investments in infrastructure, player and coach development without that carrot of promotion? 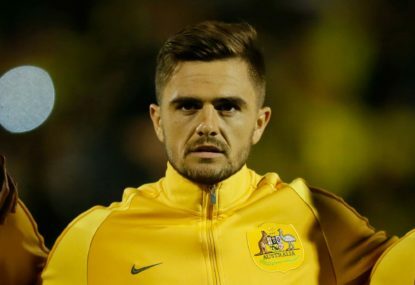 If players are on similar contracts to what currently exists, what will stop A-League clubs from poaching their players for next to nothing as is the case now? I’m not suggesting we need a second division with promotion to the A-League in season 1, but without a timeline for its introduction at inception and without an understanding of what clubs need to have achieved to win promotion to the A-League, I worry for its long-term future and I worry that in the mad rush to win this second division, clubs will neglect investing in other important assets they will need to achieve promotion. Look at some of the clubs in the NPL today. 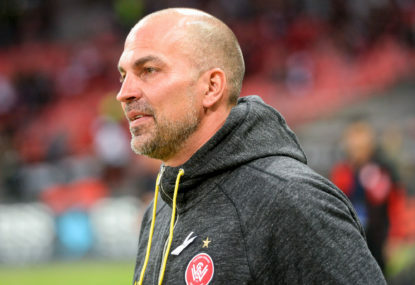 They spend big cash on players, without a ground to call their own, or without proper changerooms all for the sake of winning that year’s competition, or for a good run in the FFA Cup. A-League relegation is the least important piece of the puzzle for now. The goal should be to create a competition with clear timelines and guidelines to promote the A-League’s newest teams within 5 years to try and promote smarter administration and club investment, as opposed to just creating a new national competition for the sake of saying we have a second division. Is that why there are people who continue to tip money into their local clubs? The amounts being spent by some NPL clubs is unseemly – and all they’re playing for is a state title and an FFA Cup run. It’s a shame that they spend that dosh on player payments – it would make much more sense to invest in club infrastructure. A second division with a timeline for promotion to the A-League would potentially increase investment at that level. You could potentially buy yourself an A-League license at a low price over a longer period of investment with some good planning. Fair points, but I think if we look at the way the Phoenix started the season versus current form, it’s been clear that Rudan has been very successful in driving improvement from individuals and the collective. He also enjoyed pretty consistent success at an NPL level with Sydney United. Thanks for reading and commenting, Waz. No denying he was a nasty player. One would argue he’s not particularly nicer as a coach, be it to the media, opponents or anyone else, but as you admit, Kdog, he knows his football and for the most part, his players seem to like playing for him. He’s perhaps been lucky in that he’s always had a very good squad at his disposal, but I’ve been impressed with his style of football and overall squad management nonetheless. Thanks for reading and commenting, guys!